When fully collapsed. 5.3 in when expanded. If you think traveling with your own pair of chopsticks is kind of weird, it probably is. But who cares? You do you. Whether you travel the globe, the country or just your hometown—these pocket-sized chopsticks are easily stowed for sterility on the go. 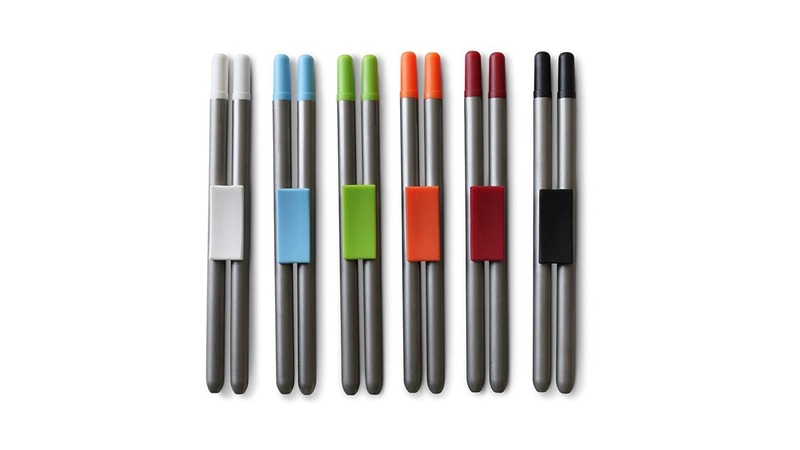 The Integral Design Collapsible Chopsticks combine stainless steel and colored plastic to create a sleek, modern look. 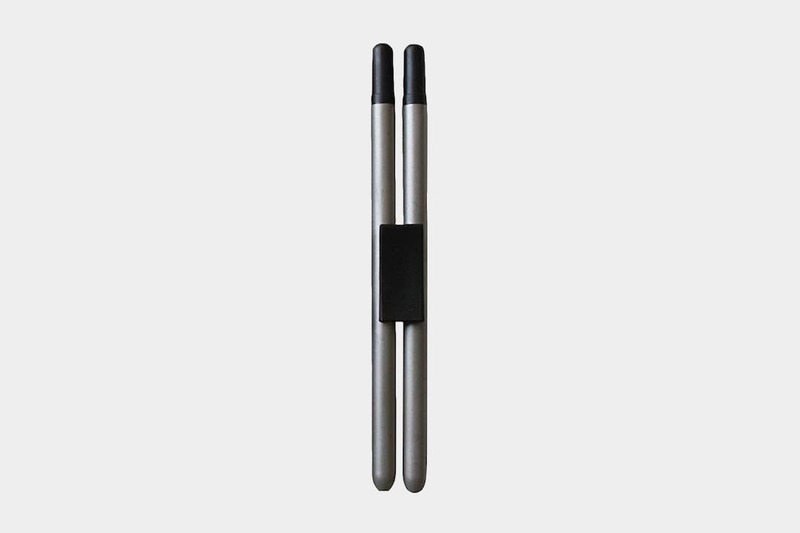 Weighing in at a dainty 0.8oz and measuring 5.3in long (just over 3in when collapsed), these chopsticks are compact and easily transportable in a purse or pocket. They are composed of two separate pieces that collapse into each other. A multipurpose clip holds the chopsticks together whilst collapsed and acts as a stand to prop them up during meals. Ventilation holes allow them to be fully submersed while cleaning without concern of mold building up on the inside. They are available in six colors: white, black, red, orange, lime green and cloud blue. Did you know that 3.8 million trees are cut down every year for the purpose of making chopsticks? Every year, 100 million disposable chopsticks are thrown away. That boils down to about 200 pairs of chopsticks discarded per person every year. If just 90 people bought reusable chopsticks and used them faithfully for one year, over 17,000 chopsticks would be spared the waste bin, which would save one entire tree. 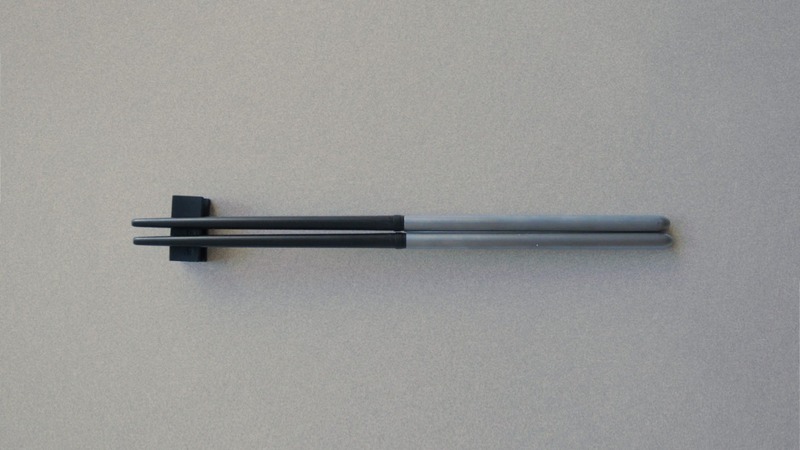 For the traveling germaphobe, these chopsticks are the best invention since hand-sanitizer. Wooden chopsticks are very absorbent. Sauce, spit, bacteria, and mold make their way into the fibers and disinfection is not easily done. Those looking to avoid common traveler’s bugs while in foreign countries should invest in the sterile option. For the seasoned chopstick veteran, usage is a piece of cake. However, the smooth, sleek exterior of these chopsticks may present a problem for beginners. Another small composition inconvenience is that food can build up in the small indents near the end of the sticks and can be difficult to remove, but a good soak should remedy the situation. They are good-looking and do their job without issue. They still look and function good as new. Starting to notice they conduct a lot of heat when left in hot broth for too long. They are starting to show some slight wear and tear, but nothing major. 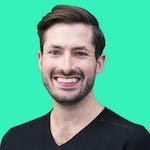 Nothing new to report, still going strong. Showing slight signs of wear but still work perfectly fine. Conducts heat due to stainless steel construction. Possible buildup of bacteria if not properly disinfected - especially within the hollow part of the chopsticks. The Integral Design Collapsible Chopsticks are a unique travel contraption as well as a hygienic and environmentally conscious option to traditional wooden chopsticks.